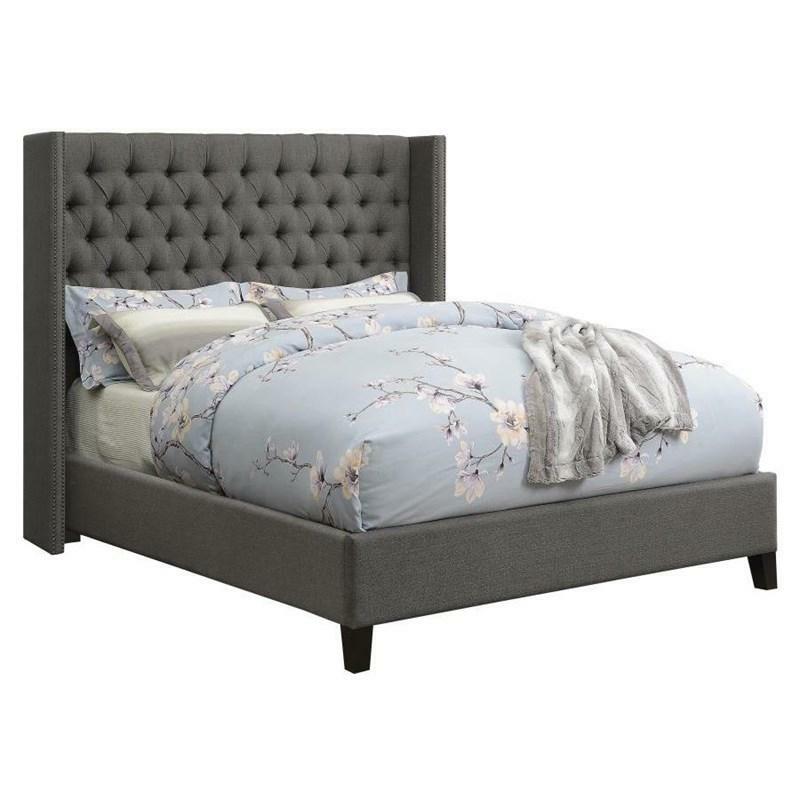 The Benecia Upholstered Platform Bed by Scott Living makes a beautiful addition to your bedroom. 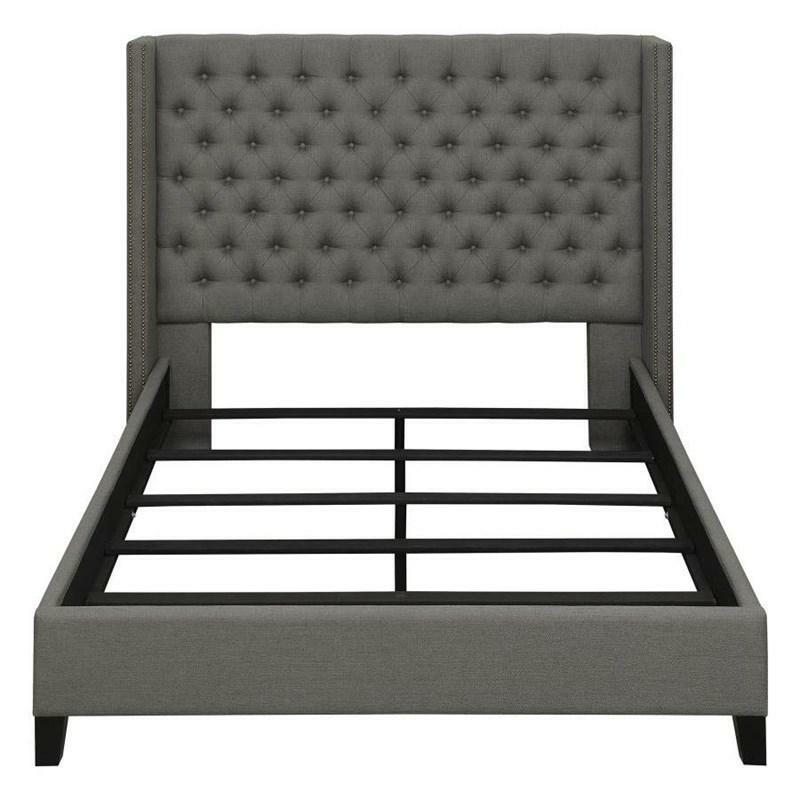 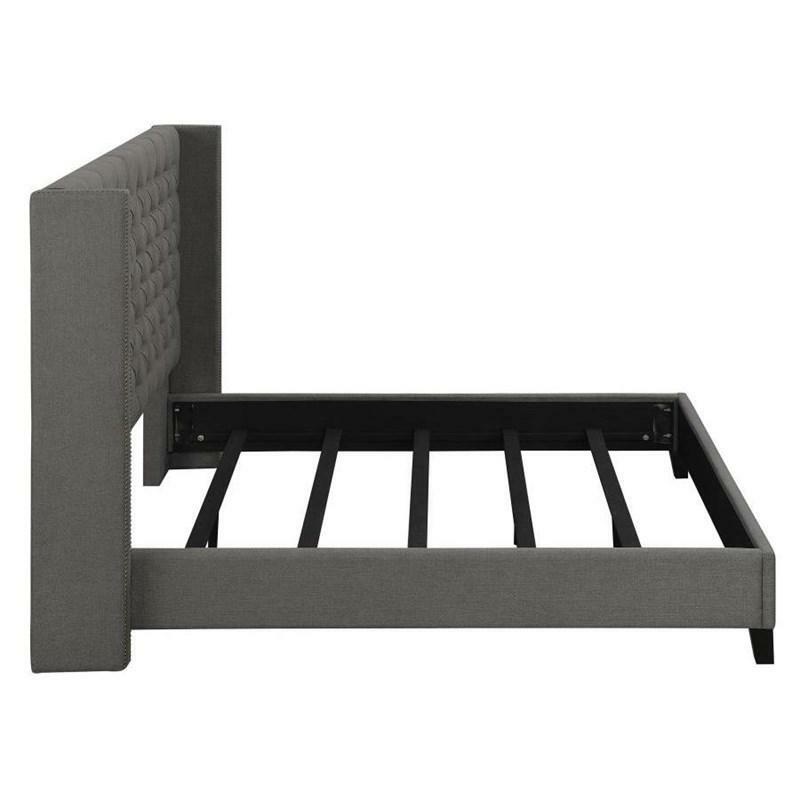 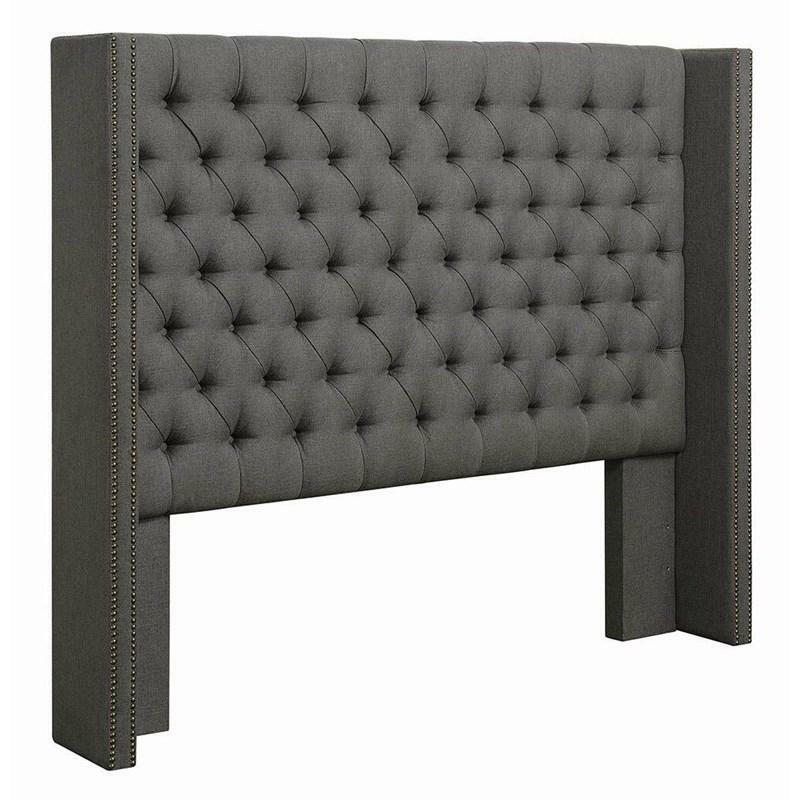 It features a tall button-tufted headboard with side demi-wings and a platform base all in a grey woven fabric. 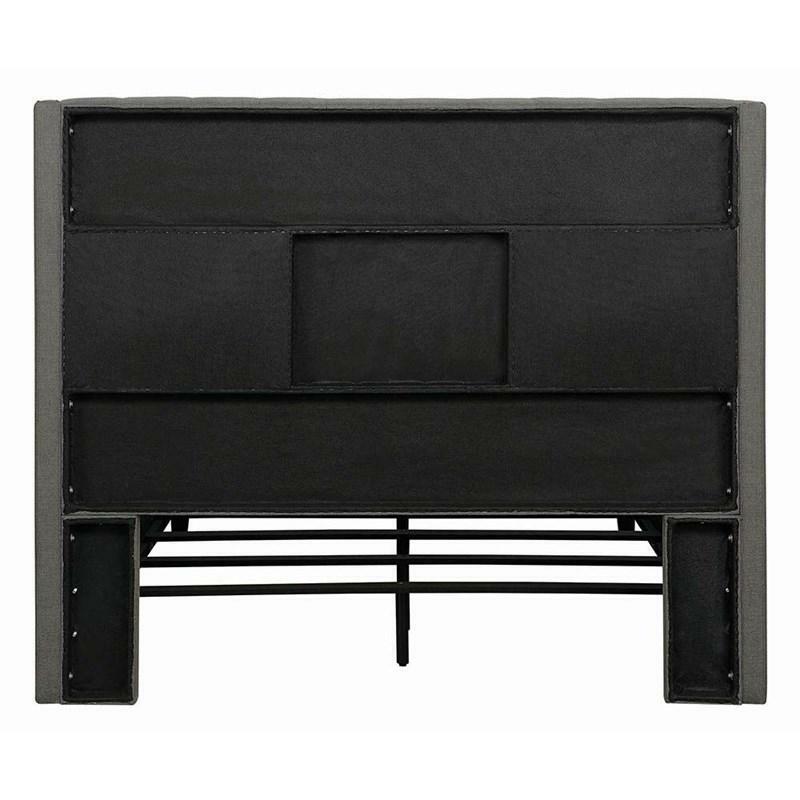 It stands on solid birch legs in black finish and is adorned with individually applied bronze nailhead trim accents.